The rest in Sosnoviy Bor! 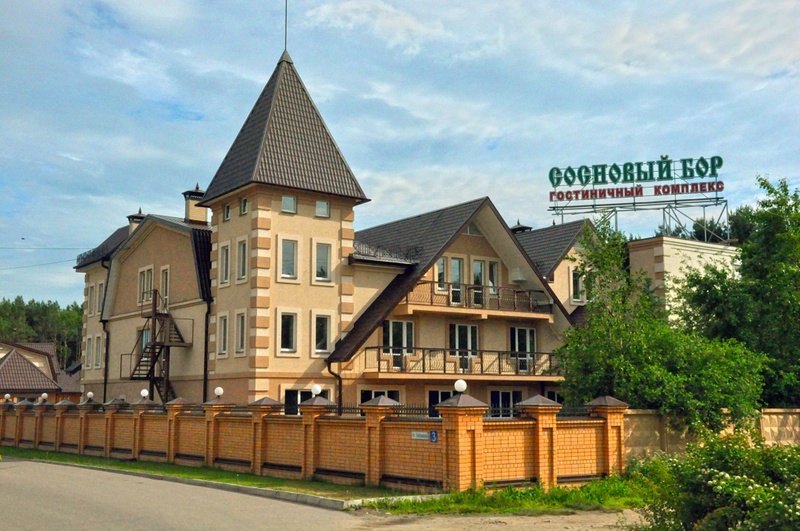 Sosnoviy Bor Hotel, opened in 2003, takes full advantage of its beautiful location – in the ecologically clean area, bordering on wonderful pine forest. The hotel is conveniently situated close to bus station (3.5 km), airport (5 km) and railway station (11 km). 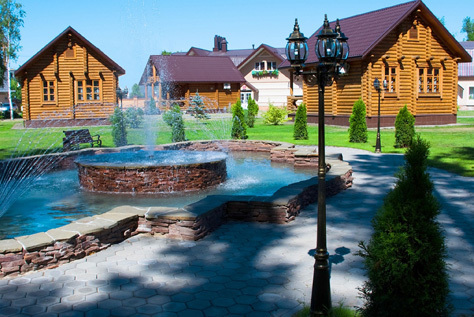 It will take you only 15 minutes to drive to the business and cultural center of Ivanovo. There are two big shopping centers near to Sosnoviy Bor: multifunctional “Euroland” and textile “Rio”. Sosnoviy Bor occupies about 1.6 hectare territory where 57 comfortable rooms of the 1st and high categories, 6 wooden cottages and a secured parking lot for 30 vehicles are located. Low-rise architecture combined with professional landscape design creates the atmosphere of cosiness and comfort. The maximum capacity of the hotel is 85 persons. Sosnoviy Bor Hotel is a perfect venue for organization of weddings, meetings and celebrations. Our event agency team ensures that all private events will be a success. The wide range of recreation and business facilities and high quality service attract guests who travel on business or vacation. You should not search for any other Ivanovo hotels anymore! Sosnoviy Bor is an ideal combination of high quality service, spacious rooms, well-developed infrastructure and ecology. No matter, whether you are visiting us on business or celebrating a special occasion, you feel comfortable and contented.